There’s so much stigma attached to Botox yet I know from reading magazine articles that it’s one of the most popular treatments you can have to get rid of wrinkles and I was in dire need of some help! So I wanted to find out a bit more about Botox if I was going to go ahead with treatment. I didn’t realise that Botox had been used in the medical industry for years as a muscle relaxer! That was a real surprise to me. Squints, spasms, incontinence & bells palsy are all positively treated with Botox – even for sufferers of MS. So Botox stops the muscle from working or relaxes it! 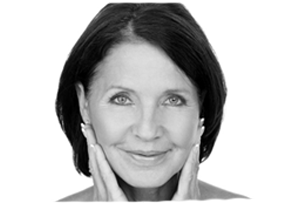 It now makes sense how it works to smooth facial wrinkles by restricting movement. Did I want to stop those muscles moving altogether – is that when people look a bit freaky? The trick is to find someone to give you the right amount of Botox to stop you looking frozen. So I set off to read reviews on websites of the doctors in my area. During my research I also learned that only doctors or nurse prescribers should administer Botox as it is a prescriptive drug, so my first task was to find somebody locally with the right credentials & experience. I looked at several sites. Some were very professional, large clinics. Some were doctor or nurses’ who didn’t have their own clinic but visited salons, dentists or spas to treat – I didn’t like the idea of being treated in a back room of a hairdressers or beauty salon so I opted for a clinic setting! I called around by phone to get an idea of prices and to get a feel for what they offered. Could they treat me on the day? Price wise, there wasn’t much in it – about a £50 difference between most of them but I’d already decided that my decision wouldn’t be based on price. Not where my face was concerned!! 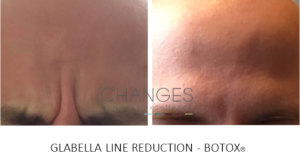 Most prices were between £275-£325 for 3 areas – I learned that was 2 areas of the forehead and crow’s feet around the eyes. I ended up choosing Changes for a few reasons. They weren’t the cheapest or most expensive. Firstly, the reviews on the website from patients were great. Secondly, the service was professional, friendly but informative and thirdly, because I would be treated by an experienced, vocational, aesthetic doctor. That was 12 months ago. I chose well. I’ve had 2 great treatment in that time with outcomes that I love. I trust them to treat my face. Don’t think I’ll be going anywhere else soon!